Add some Star Wars style to your wardrobe! 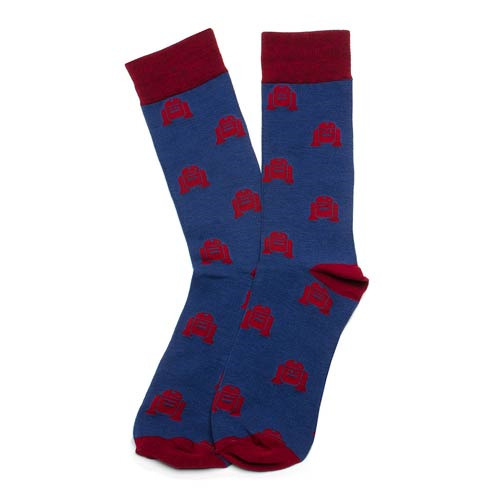 These Star Wars Socks are blue and feature repeating red images of the astromech droid, R2-D2. Socks are made of 75% Lyocell, 12% Polyester, 8% Nylon, and 5% Spandex. One size fits all (up to men's 12). Officially licensed by Lucasfilm.